Institute of Oceanography, La Jolla. Askania-Werke, A.G., 1958. Die Askania-Gravimeter. Friedenau, Berlin. Dehant, V., 1987. 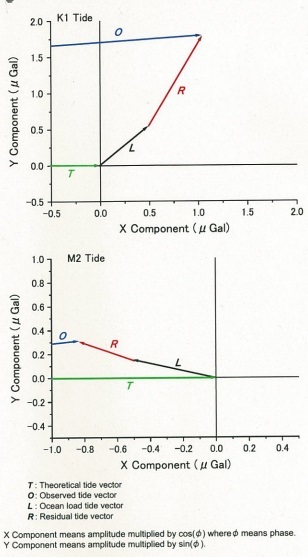 Tidal parameters for an inelastic Earth. Phys. Earth Planet. Inter., 49, 97-116. Vostok, Antarctica. Geophys. Res. Lett., 28, 2971-2974. Vostok Station, Antarctica. Polar Sci., 3, 1-12. Dziewonski, A.D., Anderson, D.L., 1981. 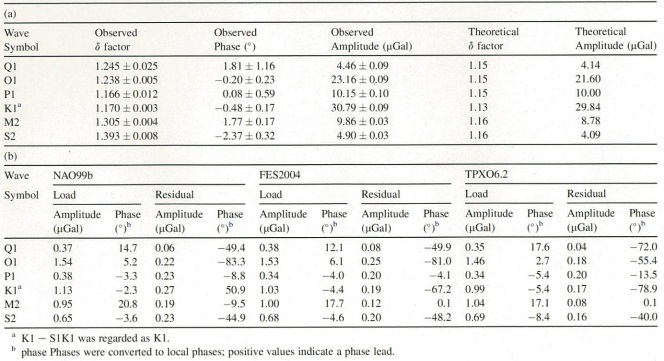 Preliminary reference Earth model., Phys. Earth Planet. Egbert, G.D., Erofeeva, S.Y., 2002. 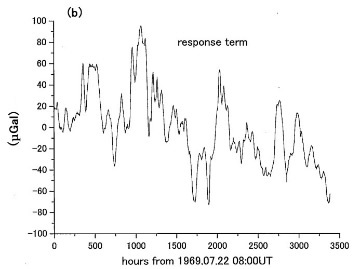 Efficient inverse modeling of barotropic ocean tides. J. Atmos. Farrell, W.E., 1972. 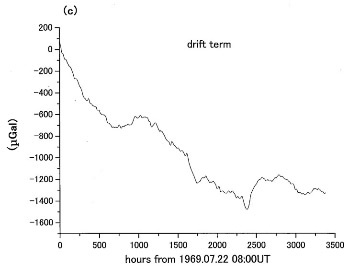 Deformation of the earth by surface loads. Rev. Geophys., 10, 761-797.
freshwater lake beneath the ice of central East Antarctica. Nature, 381, 684-686. King, M.A., Padman L., 2005. 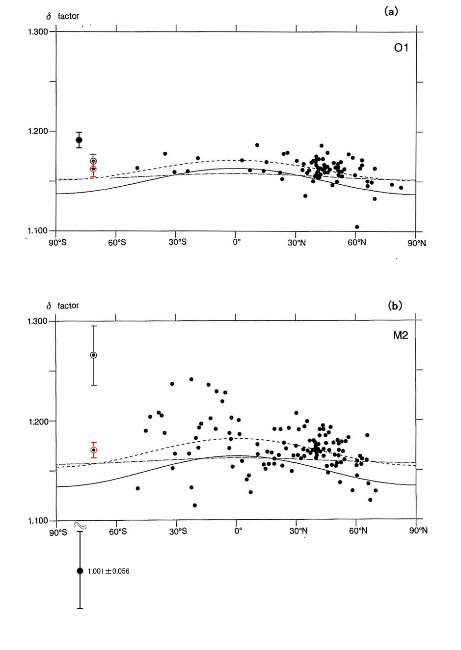 Accuracy assessment of ocean tide models around Antarctica. J.
Geophys. Res. 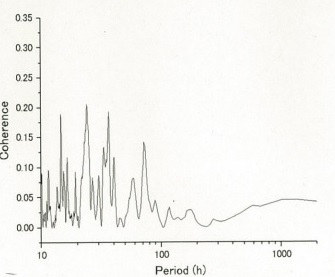 Lett., 32, L23608, doi:10.1029/2005GL023901. insights from FES2004. Ocean Dyn., 56, 394-415, doi:10.1007/s10236-006-0086-x. 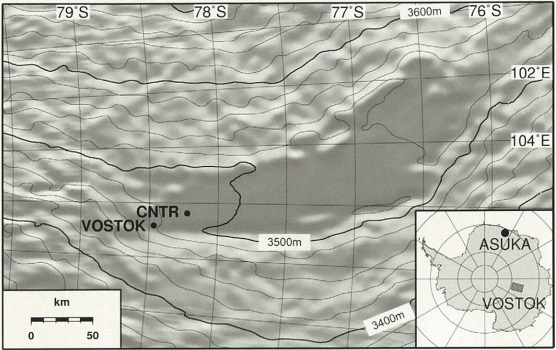 subglacial Lake Vostok in Eastern Antarctica. Dokl. Earth Sci., 379A(6), 734-738.
model around Japan. J. Oceanogr., 56(5), 567-581. Melchior, P., 1983. The tides of the Planet Earth. Pergamon Press, Oxford-New York-Toronto. forces. Phys. Earth Planet. Inter., 31, 27-53. Nakagawa, I., 1961. 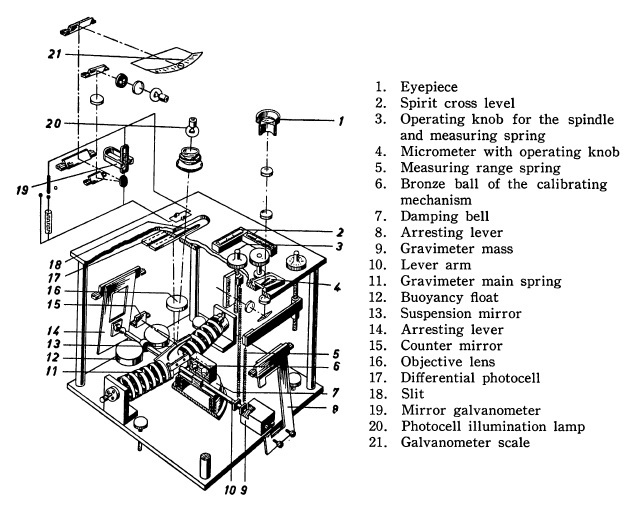 On the calibration of the Askania Gs-11 gravimeter No. 111. J. Geod. Soc. Japan 6(4), 136-150 (in Japanese with English abstract). Antarctic ice shelves and seas. Ann. Glaciol., 34, 247-254. Tech. Memo. 209478. Goddard Space Flight Center, Greenbelt. Ray, R.D., Ponte, R.M., 2003. 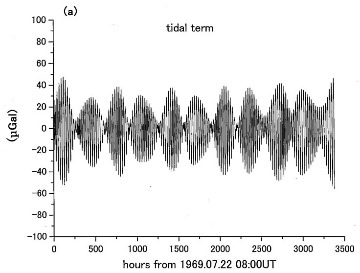 Barometric tides from ECMWF operational analyses. Amm. Schwiderski, E.W., 1980. 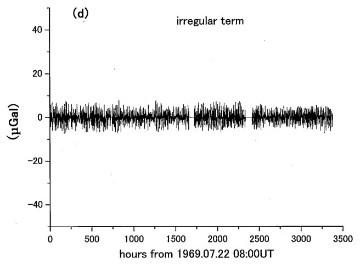 On charting global ocean tides. Rev. Geophys., 18, 243-268.
sowjetschen uberwinterrungsstation Wostok in der zentralen Antarktis. Marees terr. Bull. Inform. Nr. 59, 2853-2868 (in German). Schneider, M.M., 1971. Erste Beobachtungen der Schweregezeiten in der zentralen Antarktis. Gerl. Beit. zur Geophys., 80, 491-496 (in German). Physics of the Earth. Postdam, pp. 183-193. Station located on the Antarctic ice sheet. J. Geophys. Res., 98 (B4), 6677-6688.
de longueurs arbitraires. Obs. Royal Belgique, Ser. Geophys. 71, 463-485 (in French). Wahr, J.M., 1981. Body tides on an elliptical, rotating, elastic and oceanless earth. Geophys. 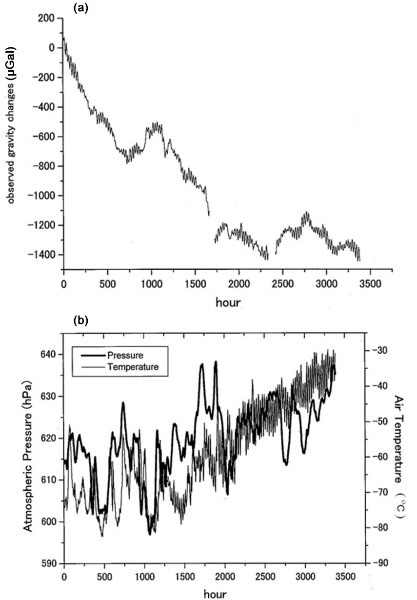 J. R.
tidal and atmospheric pressure forcing. Geophys. J. Int., 161, 41-49.
southern part of subglacial Lake Vostok, Antarctica, and their glaciological implications. Geophys. J. Int., 166, 991-998.